We recently heard someone say, "I love horses and donated $20 because I really wanted to help, but so many horses need help and I'm not sure that giving a small amount really makes a difference." We want everyone to know that ANY DONATION, EVEN A SMALL ONE, MAKES A HUGE DIFFERENCE TO A HORSE IN NEED! The rescue organizations that work around the clock to save horses are always in desperate need of hay and grain, and they also need money to pay for vet care, medications and supplements, farrier, dental, rehabilitation, etc. One of our rescue organizations spends an average of $250 per horse each month and they care for 14 horses that are very difficult to adopt out. These horses are elderly or have permanent injuries or medical conditions and cannot be ridden, so even though a $20 donation seems small and insignificant, it will help buy one of these horses hay, grain and/or supplements. And never forget that small donations can add up! When 12 people give $20, a rescue organization will have enough money to care for one horse for one month...AND THIS MAKES A HUGE DIFFERENCE! Donations made to BEWF helped Metro Jessica, a 3-year-old Standardbred that arrived at the Kentucky Equine Humane Center 400-500 pounds underweight (photo, above). Jessica also had severe abscesses from gravel impaction and her two hind feet were missing major portions of the sole and hoof. Her caregivers at the Kentucky Equine Humane Center said it was one of the worst cases of neglect they had ever seen. 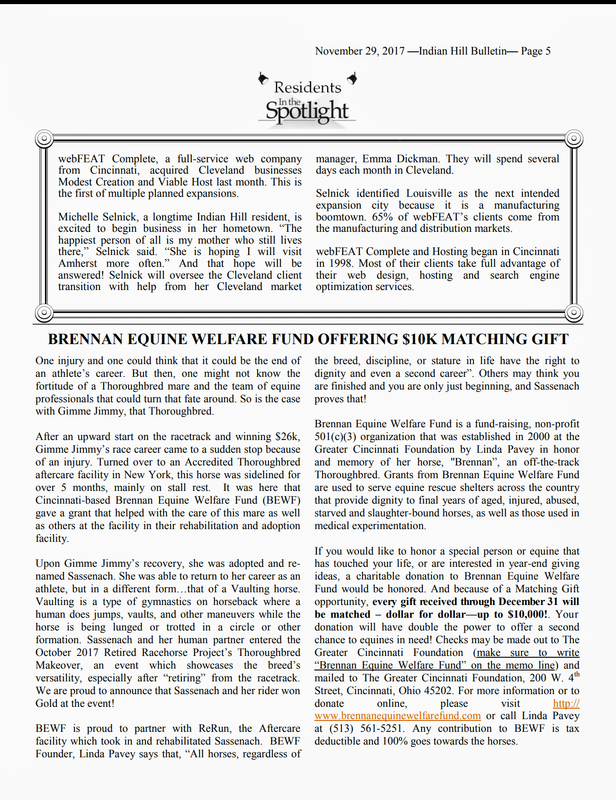 Through a grant from Brennan Equine Welfare Fund, Jessica got the medical attention she needed. She was also put on a special diet to slowly nourish her body so that she safely gained weight without stressing her organs (photo, left). An expert farrier began treating her hooves and the missing portions and hole in her sole and hoof have now grown out. All of Jessica's veterinary care and rehabilitation was made possible through generous donations, so please, never think that any donation is too small to help a horse in need. Remember that one donation, combined with many, can and DOES help a horse that has been abused, abandoned, neglected, and staved. So if you'd like to help, please visit our Donate page and make a donation that will help save horses just like Jessica.